Since the 80s I have been in love with David Austin Roses. A highlight of each growing season is their new releases. 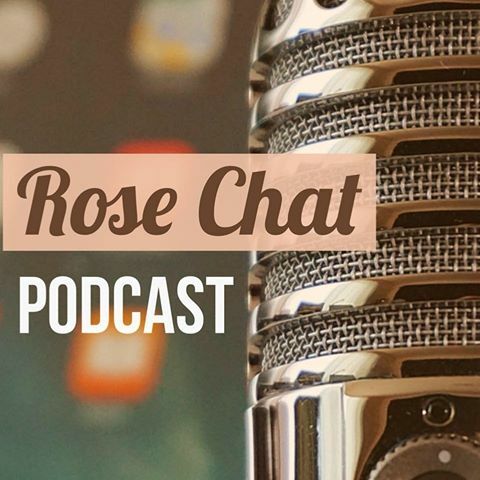 Last week on Rose Chat Michael Marriott, garden designer from David Austin Roses, was with us to talk about the 2015 introductions for the US and Canada. 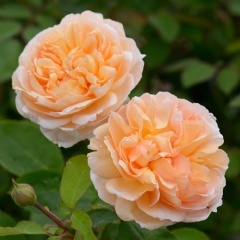 THE LADY GARDENER: It is said of this rose that it “nearly buries itself in perfume and flowers from early summer to frost.” Read more. 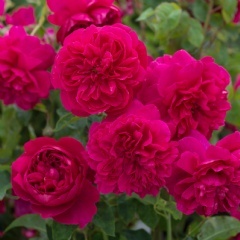 THE ALBRIGHTON RAMBLER: This rose is said to have “exceptional prettiness and charm.” Read more. 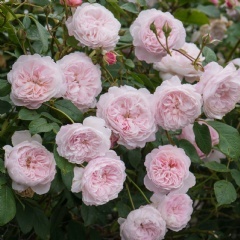 THOMAS a BECKET: “A particularly strong and healthy rose, with exceptional old rose fragrance.” Read more. MAID MARION: “Maid Marion produced some of the most superbly formed flowers we have seen.” Read more. 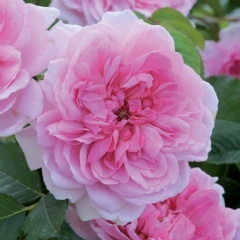 For other articles I’ve written on David Austin roses, read on. Of course I want them all, but since I have been working on a living fence on the south side of our garden for the last 2 years, I think I am going with the ramblers. Aren’t they just amazing! Most ramblers grow to 20′ … and in some cases 30′. I think these ramblers growing only to about 10′ will fit my space very nicely. Of course you too can have them all, but I’m curious, if you could choose only one of these pretties, which one would you choose? I have an Abraham Darby rose that I’ve had for years and it never fails to provide the beautiful color and perfume that I expect! Absolutely love these roses! they are all lovly, my first question in picking any rose is how cold tolerant, I just wonder if we really need new variaties anymore considering there are already more than five thousands varieties to choose from. ramblers are great as they grow so long/tall. I hope this summer is better than last year since winter is being so nice this year. maybe my rambler will not die back and I will get a nice climber. forgot the name of it. since it is being so mild this year your new dawn should be okay. spring cant come fast enough for me how about you. I think I need The Lady Gardener! Love the color! Now where to plant??? Good choice… Would go well with Sunny! I’m in love with the look of ‘The Albrighton Rambler’ and it’s definitely on my ever-growing list of ones to try. Of all of Austin’s roses, though, I’d have to say Munstead Wood is still my favorite. 🙂 Thank you for visiting my blog earlier, Teresa! It was an honor to have you drop by! Your love of roses and your amazing photography is an encouragement to us all! Many thanks for all YOU do. Such pretty roses! We had big huge gorgeous roses at our last home. I want to plant some at our new home. I will look for these. I just placed an order for The Lady Gardener and Albighton Rambler. Very Excited! Thanks for stopping by. There are sooo many varieties today and many are very easy care. Stay tuned… When spring gets here I will be posting like crazy! 🌹 What roses are you thinking about adding next? I do not know! I am looking at what you have and also watching what roses grow nicely in the Southwest. They are all gorgeous, but, without a doubt, I would have to choose The Lady Gardener! Wonderful Rosarians like you are inspiring me to think about growing something besides Knockouts! I can’t wait to see your spring/summer rose garden! Teresa, I would choose the first one because of it’s perfume and color. It also reminds me of a Westerland rose from my previous garden. But I’d rather have all of the above.